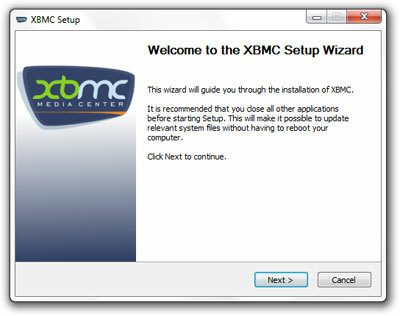 If you have a Windows computer and would like to install XBMC on it, then you've come to the right place. 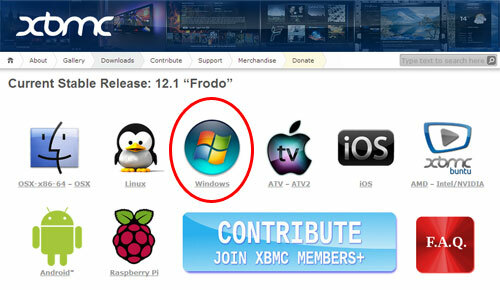 The first thing to do is open your web browser and goto the following url http://xbmc.org/download/ and click on the link circled in red. 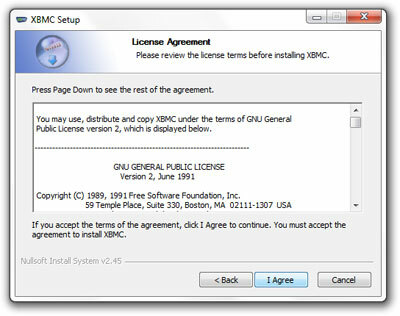 Now save the file to you hard drive and when its downloaded run the program, and you should be presented with the following screen. Click "Next" and you will see the screen below. Scroll down a bit if you want then click "I Agree". Leave the default selecton selected "Full" and click "Next". 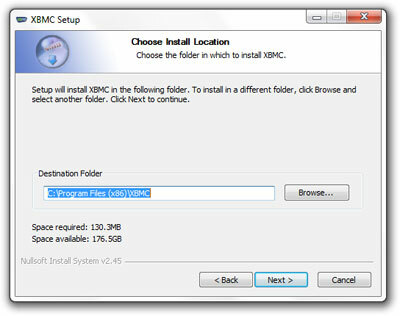 Choose where to install XBMC or accept the default location and select "Next". 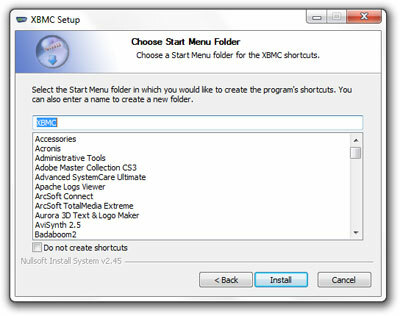 Keep the default Programs group and click "Install". 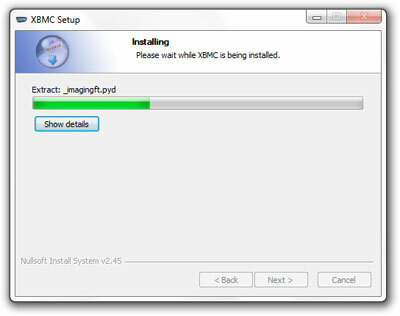 The install process starts and should not take too long. 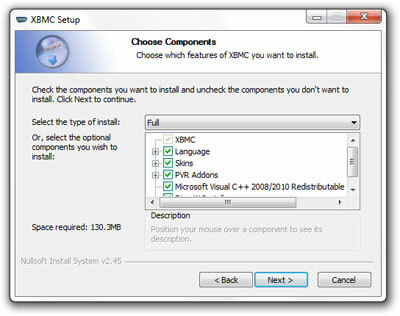 Setup has finished and you can select "Run XBMC" if you like and the installer will run it after it exits when you've selected "Finish". Thats it you now have XBMC installed on your Windows PC.